It’s that time! Our October SCT Sampler is here! A little Halloween fun from Bella Blvd with the Sweet & Spooky collection is paired with trendy sophistication from Crate Paper’s Willow Lane collection. We’ve added the brand new (and lovely!) Emerson Lane stamp set by Heidi Swapp, a border die from Lawn Fawn and some fun watercolour panels from Taylored Expressions. 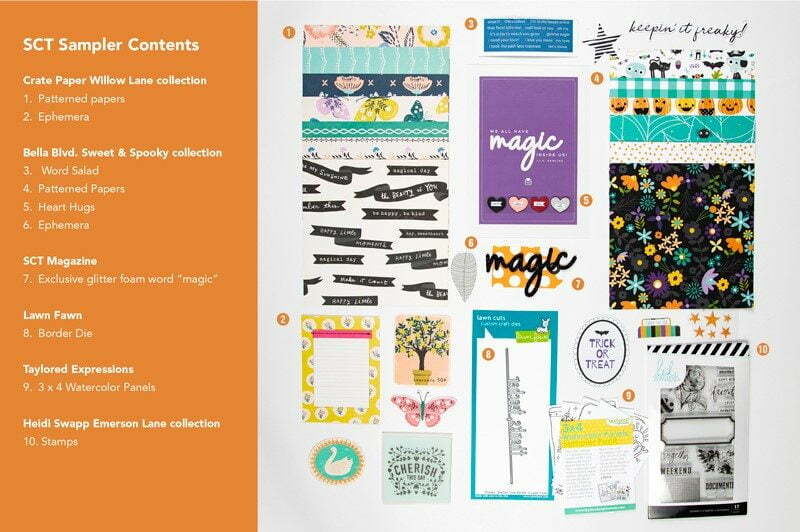 Add in a black glitter word “magic” and it’s another month of fun products we could not wait to share. We can’t wait to see what “magic” you create with these products. Below is an image of what you’ll find in your October SCT Sampler keeping in mind some products may be a little different as we share different pieces from the collections we’ve featured. 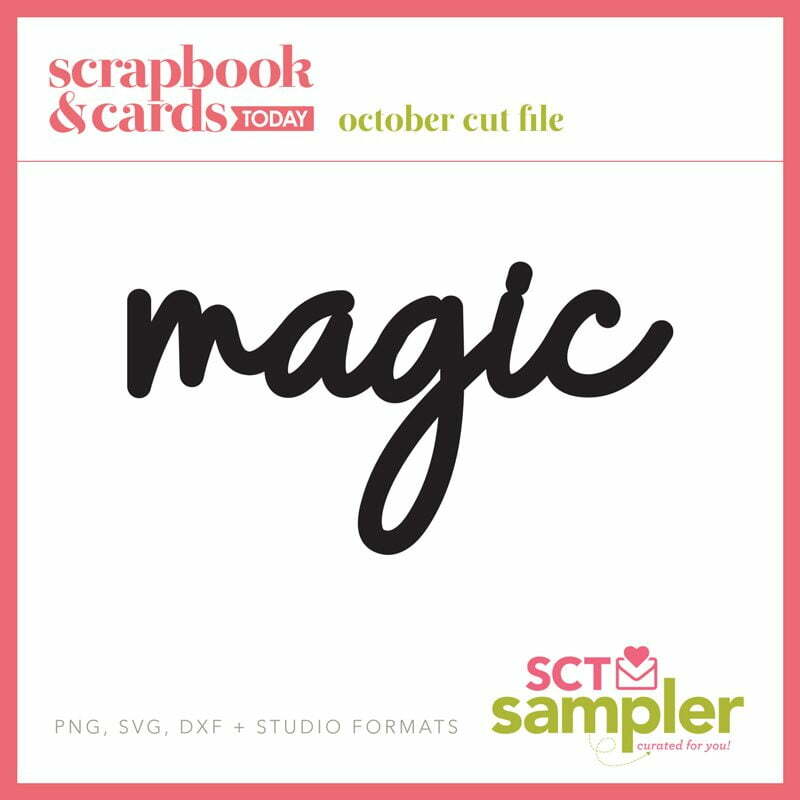 To enhance your SCT Sampler experience, be sure to check out the cut file for this month’s word “magic” and be sure to look at the coupon codes below to shop for some of your new favourite things! Please also share with us what you’re creating with your SCT Sampler. If you use it on a project and post it please tag us on Instagram at @sctmagazine and use the hashtag #sctsampler. 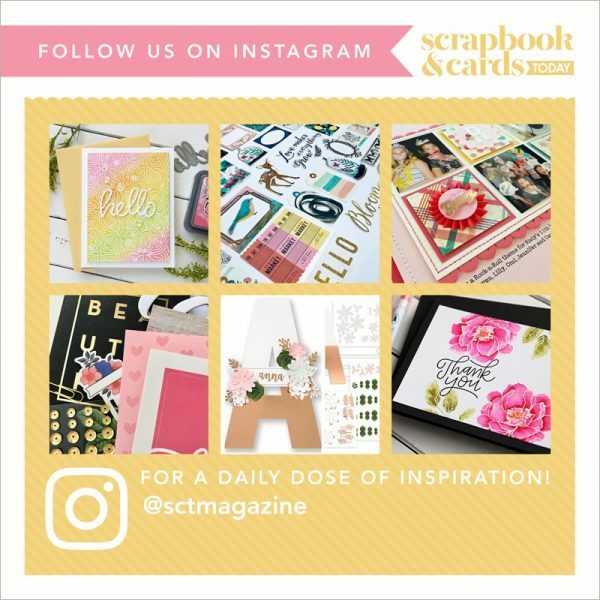 Or if you’re not on Instagram, email me personally at catherine@scrapbookandcards.com! Here are the amazing products selected for our October SCT Sampler. To match the paper names to the collection, be sure to click on the links. Exclusive word “magic” from SCT! We hope you will continue to share your unboxing, your projects and your love with us and our readers by using the hashtag #sctsampler on social media.